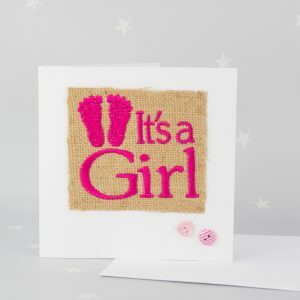 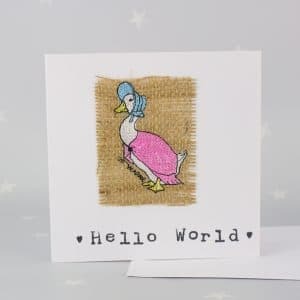 Treat Mummy & Daddy to this adorable hessian card to congratulate them on the birth of their baby girl - make sure you catch this new trend before any other of their friends or family! 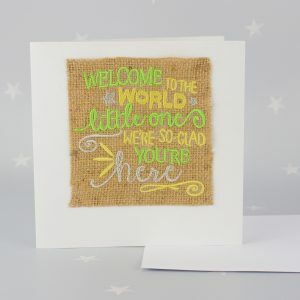 If you are looking for something a little different to congratulate Mummy and Daddy on the birth of a newborn, look no further than Heavensent’s Hessian Card. 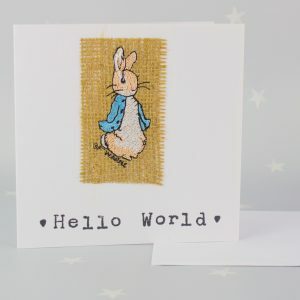 A perfect keepsake card for baby’s birthday, that comes complete with a Peter Rabbit. 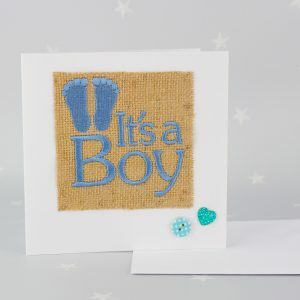 Celebrate the birth of a baby boy with our charming hessian card - a new trend that is guaranteed to be pride of place on their mantelpiece and become an excellent keepsake to remind them of that special day!